You should vote for Ron Paul despite the personality cult surrounding Obama for your future as part of the cannabis culture! Ron Paul is the ONLY candidate who will end the Drug War. 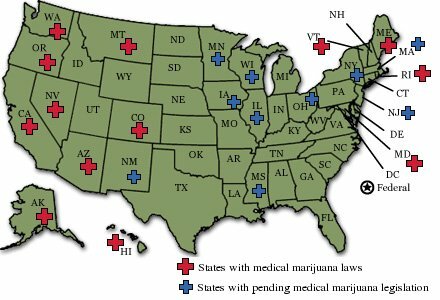 Marijuana users appear to be divided in supporting either Barack Obama (Democrat) or Ron Paul (Republican) in state primary votes, where presidential candidates are voted on. Even though it seems Obama’s message of “change” has been drawing supporters, it is imperative you understand the very defined difference between Obama and Paul when it comes to marijuana and the drug war. Barack Obama has said CLEARLY HE WILL NOT LEGALIZE MARIJUANA or in any way alter the drug war except he has promised to stop DEA raids against medical patients in California. His remark was: “It’s a poor use of resources.” Period. In all the videos of Barack Obama being asked about medical marijuana, he expresses no sympathy or empathy on this issue. Since joining the Senate in 2004, Barack Obama has never sponsored or even voted for ANY legislation that repeals ANY aspect of the Drug War. Barack Obama has ALWAYS VOTED TO FUND THE IRAQ WAR in EVERY SENATE vote. Also, Barack Obama responded to “Partnership For A Drug Free America” presidential candidate questions by saying he would increase the drug war and give federal power over drug courts. Obama will make the drug war even worse in America!